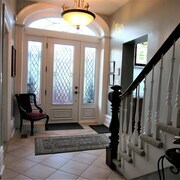 Where to find Brockville hotels near an airport? 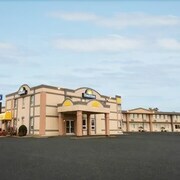 Where can I find hotels in Brockville that are near tourist attractions? 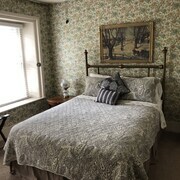 If you are planning a trip to Ottawa - Southeastern Ontario and want to find a basic or more upscale room in Brockville, there are several places to choose from. 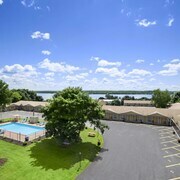 The middle of Brockville offers 8 accommodation options within easy driving distance. Although Brockville can't lay claim to having a huge selection of accommodations right near the heart of the town center, St Lawrence College Residence Brockville should be handy enough to satisfy visitors. Hotel options that aren't far from the Brockville Highland Golf Club include the Holiday Inn Express Hotel & Suites Brockville and Comfort Inn Brockville. Alternatively, if 1000 Islands Mall is your reason for traveling to Brockville, the Days Inn - Brockville and Travelodge Brockville will be sure to please. The Stonefence Resort can be found 16 kilometres (10 miles) from the center of Brockville. Or, alternatively, the Quality Inn Gran-View is 14 kilometres (9 miles) away. Some more alternatives in this area include the Super 8 Brockville and The King Orchard Inn. After you have enjoyed Brockville, take a little time soak up the other cultural and scenic attractions of the Ottawa - Southeastern Ontario area. Ottawa - Southeastern Ontario is marked by forests, and commonly visited Ottawa - Southeastern Ontario destinations include old towns and art museums. Adventurous travelers may also try cross-country skiing, snow shoeing and snowmobiling in this part of Canada. Smiths Falls is 40 kilometres (25 miles) to the northwest of Brockville, and is where you'll find the Heritage House Museum and Rideau Canal Museum. 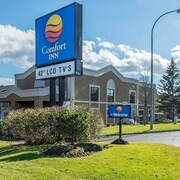 Should you wish to visit Smiths Falls, check out the Econo Lodge and Best Western Colonel By Inn. Alternatively, you could stay in Kemptville, 45 kilometres (28 miles) to the north of Brockville, where you can choose from the Knights Inn Kemptville and Abbott Road Suites. Rideau River Provincial Park and the Rideau Glen Golf Club are just a couple of the more popular sites to experience should you visit Kemptville. For visitors arriving by air, Ogdensburg International Airport is the preferred airport for Brockville. 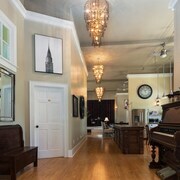 A hotel that is nearby is The Colonel's Inn. 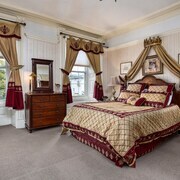 What are the most popular Brockville hotels? Are there hotels in other cities near Brockville? 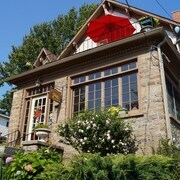 What other types of accommodations are available in Brockville? Explore Brockville with Expedia.ca’s Travel Guides to find the best flights, cars, holiday packages and more! Flights from John G. Diefenbaker Intl. to O'Hare Intl. Flights from Pearson Intl. to Indianapolis Intl. Flights from Pearson Intl. to Hamad Intl.